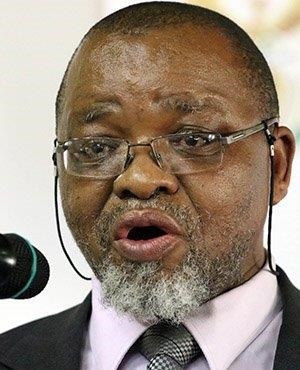 Cape Town – Minister of Mineral Resources Gwede Mantashe said on Sunday that the latest version of the Mining Charter would ensure mineworkers and mining communities reaped the benefits of mining companies' operations, while shielding companies from unnecessary volatility. Broad-Based Black Economic Empowerment (B-BBEE) objectives and conditions would remain part of mining license rights. Mining rights would have 30 years secured for the holder via a stabilisation clause, and a target 30% transformation ownership would remain from the previous charter. According to the department, the latest Mining Charter creates conditions which will incentivise transformation without needlessly penalising companies for incidences that affect their transformation shareholding. Mantashe told reporters in Pretoria on Sunday that the Department would hold a summit in July where the charter would be discussed. However, he said this summit would not be an opportunity to add anything new to the charter, but rather to fine-tune it. "When our team has heard proposals we did not accept them, as that would be bargain backwards. If it brings anything new, that would be bargaining backwards. "But if you bring something critical, we will listen. This draft charter and the one subjected to the courts are completely different animals," said Mantashe. Regarding a 10% free carry stake in mining for employees and labour, Mantashe said the Minerals Council of South Africa, formally known as the Chamber of Mines, was asked to present an alternative to this stipulation, which they had rejected. However, they have yet to do so, he said. "Any company in the modern economy will understand that it is not a cost but an investment to allow employees to have shares in the companies. And 5% (split between communities and employees) is not a big call. "They [workers] can be on board and express the interests of the workers to company leadership," said Mantashe. CEO of the Council for Geo-Science Mosa Mabuza, who assisted with the process of consulting for the charter, said material benefits were present in the current charter for mining communities and workers through the free-carry stipulation. "The 1% dividend of profit before tax and depreciation and amortisation must flow through to both mine workers and communities. "When the dividends are paid, those that are paid can be redeemed. It is not over and above the 5% free carry. It is to ensure there is constant and consistent flow," said Mabuza. Mantashe maintained that miners would not be needlessly punished over transformation targets under the charter. For instance, when a transformation partner is removed, the mining company may be penalised, although this is at the discretion of the minister's office. However, if a transformation partner leaves voluntarily, the mine cannot be penalised for the changes to their empowerment score. If a miner makes a loss or does not meet their targets in a year, the company still has the option of conducting a share call to plug financial holes in their operational ambitions.